This center offers “do-it-yourself” mechanics a place to work on their automobiles with the guidance of experienced mechanics and reference manuals. This center has state-of-the-art equipment for automobile maintenance. Bays and tools are rented at a minimal price. The Resale Lot is located on the corner of Souter Pl. and Randolph St. (across the street from Randolph Pointe). Get Google Directions. The Resale Lot is a lot that features used cars, trucks, motorcycles, and recreational vehicles for sale, by the owner. 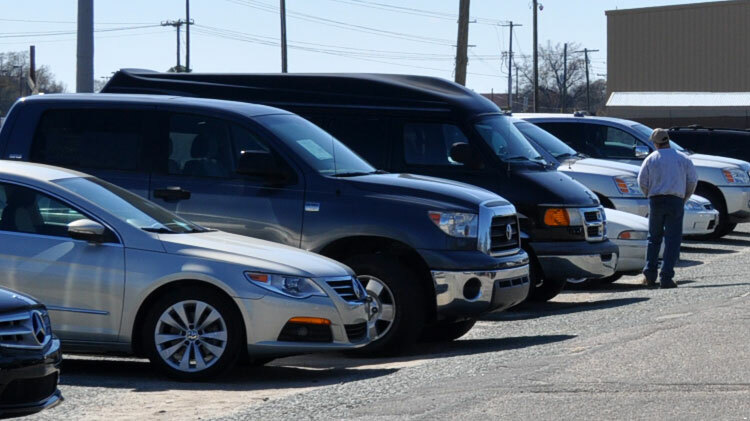 If you are looking to buy a used vehicle, come by the Resale Lot to view our full inventory, or check out some of our select inventory online by visiting our Resale Lot Catalog. If you are looking to sell a used vehicle*, register your vehicle with us, and park it on our lot! For an additional fee (see "Prices" above), you can also list your vehicle online, via our Resale Lot Catalog. Contact us for more information, and/or to register your vehicle. * Registrants must have a current vehicle registration. Who is allowed to use the Auto Skills Centers, Resale Lot, RV Lot and Mini Storages? All DoD ID cardholders and their family members are eligible. Can I perform fuel maintenance at Auto Skills? Do you have a paint booth? At what age do my children need to be to work in the bay area with me? For safety reasons, children under the age of 15 are not allowed in the bay area. Waiting areas are provided at both shops. Do I need to show proof of ownership (vehicle registration, title or bill of sale) before signing my vehicle into the shop? Can I work on a friend’s vehicle without them signing it into the shop? No, all vehicles must be signed in prior to beginning any repairs. Can I register a friend’s vehicle for the Resale Lot? No, proof of ownership is required for all vehicles. How do I make a reservation for the parks on Pope AAF? North Bragg Auto Skills Center takes reservations for Woodland Park and Flightline Park. Visit our Parks page for more information on these parks.